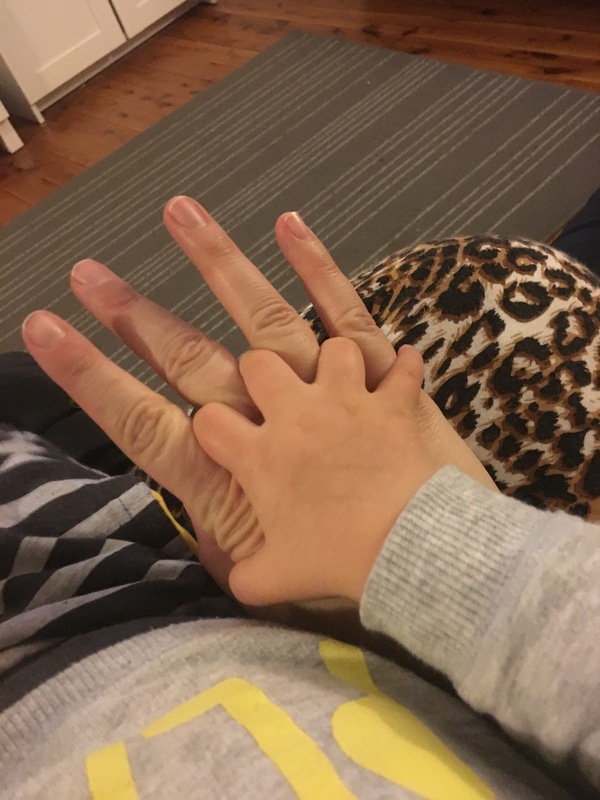 His little hand will only get bigger. These baby years are ever so fleeting and I am soaking up those chubby little thighs and soft sweet cheeks and toothless grins. Because before I know it he will be walking and talking and be a proper little man. And there will no longer be any babies in this house. Yes some days I wish away this time as I’m so tired and run off my feet. But I need to forget all that and relish in having my last ever baby tugging at my pants to be picked up. Crawling on the grass looking up at the sky in wonder as a plane flies past. Enjoying the sensory experience that is dinner time. Snuggling into the crook of my neck with his teddy and knowing that everything will be ok. We have been extremely blessed to have been given these four children and although I joke that it’s all a bit much some days, I never lose my gratitude. My gratitude for the ability to bear these boys and give them a loving, safe home.